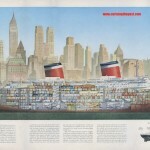 S.S. United States Likely Coming to Manhattan, Where Will It Dock? The S.S. United States, a rusting symbol of the country’s maritime might, has evaded the scrapyard and is likely coming to a Manhattan location. 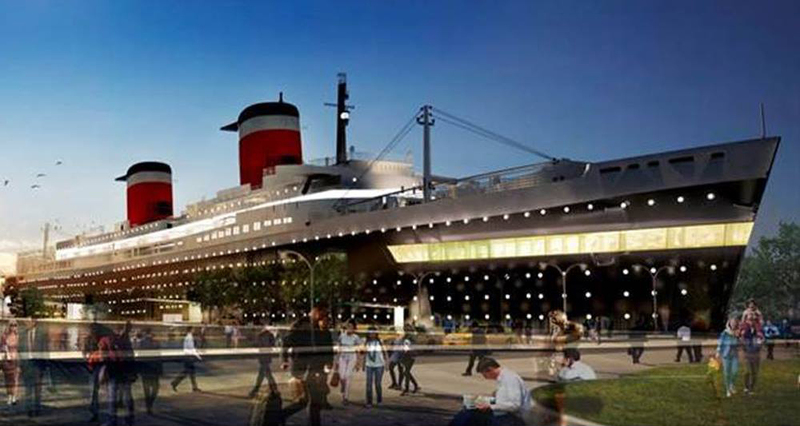 The S.S. United States Conservancy will hold a press event on Thursday at the Manhattan Cruise Terminal, revealing the 63-year-old ocean liner’s future home. The conservancy sent out an S.O.S. 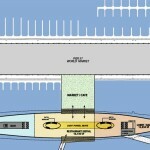 to New Yorkers interested in rescuing the vessel and revamping its 600,000 square feet of space into a self-sustaining business. Prior visions have ranged from tech offices, hotel rooms, housing, entertainment spaces, museums, and a maritime school. 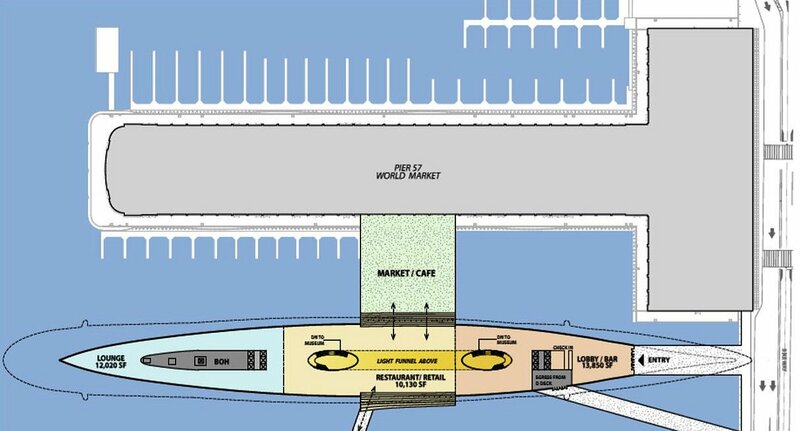 The location of the press event, near the United States Lines’ former terminal at Pier 86, is a clear give-away that the ship will be relocated to the city. 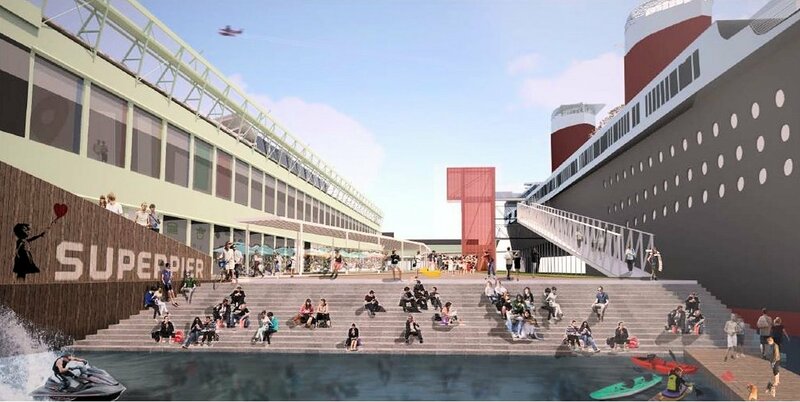 Previously the developers of the SuperPier project had expressed interest in docking the ship alongside Pier 57, and several years back an idea was floated to dock the ship further south alongside Pier 40. 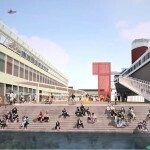 More recently, rumors have honed in on three locations: a Brooklyn pier within the Gowanus Bay Terminal in Red Hook; Pier 36 just north of the Manhattan Bridge; and an undisclosed Manhattan location that is likely on the west side. 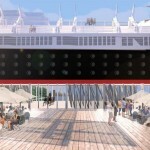 Back in October, the conservancy told the Observer that the ship’s conversion cost will run somewhere between $50 and $200 million, in addition to the $2 million tab for towing the vessel from Philadelphia to New York. 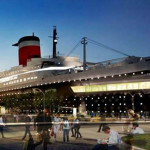 The group also estimated that retrofitting the vessel would yield some 2,000 high-paying temporary construction jobs, and ultimately 300 permanent positions. 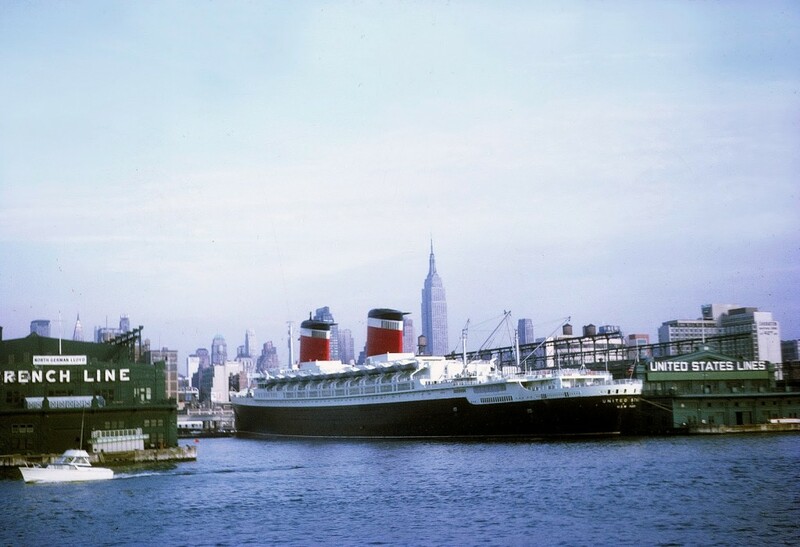 SS United States docked along the west side in 1968. Image courtesy of The Archive 1960. Conceived as a powerful expression of American postwar optimism, ambition, power and technical ingenuity, the S.S United States was built with American labor and was partly funded by federal dollars. It’s the fastest ocean liner ever built and still holds the Blue Ribbon for the westbound transatlantic crossing it completed in 3 days, 12 hours, and 12 minutes at an average speed of 35.59 knots (41 mph). Using no wood throughout, the ship could quickly convert into a military vessel, and the design of its propellers and its top speed were kept a state secret. The ship is also the largest liner ever built in this country and was dubbed “the most famous ship that didn’t sink.” It is nearly 1,000 feet long–roughly the size of the Chrysler Building–and 200 feet longer than the Titanic. At full capacity the ship could comfortably hold more than 2,000 passengers and a crew of 1,100 which sometimes included three orchestras. During its 17-years of service, it transported four American presidents and numerous other heads of state, military and business leaders, immigrants and Hollywood stars including John F. Kennedy, Walt Disney, Marilyn Monroe and John Wayne. 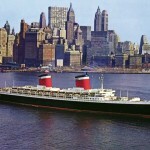 After 400 transatlantic crossings, the ship was retired in 1969 with the surging popularity of jet age airlines that cut travel to Europe to hours instead of days. 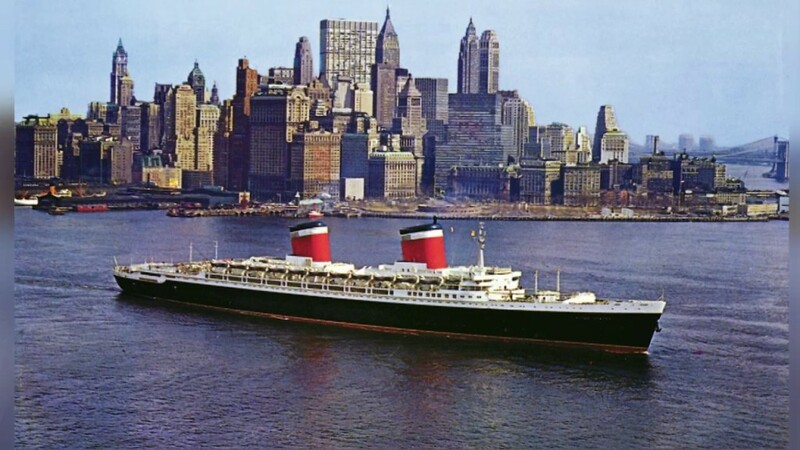 Bringing “America’s Flagship” back to New York is almost common sense–the city’s name is boldly stamped onto the ship’s stern, and the city is its port of registry. New York also has the nation’s most storied maritime history and served as the destination port for the bulk of transatlantic travel. 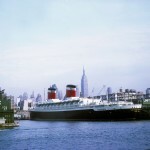 The Manhattan skyline, which is also a symbol of industrial power and international prestige, should serve as the perfect backdrop for the ship’s twin red-white- and-blue stacks.